Our guest today is a gentleman who made his name in examining and cataloguing the natural world. A zoologist and botanist, George Shaw was also one of the first scientists to examine the platypus, a creature that he was initially convinced had to be an elaborate hoax. Born in Buckinghamshire, Shaw was a student and Magdalen Hall, Oxford. He started his studies with the intention of following his father, Reverend Timothy Shaw, into the church. Although Shaw was ordained, as his education progressed, the young man developed an abiding fascination with the natural world. By the time he completed his studies he had made the decision to become a doctor, supplementing himself with a position at Oxford lecturing in botany. Upon his graduation, Shaw began a successful medical career in London yet continued to study the natural world. With Sir James Edward Smith he founded the Linnean Society in 1788, providing a permanent home for the collections and library of Carl Linnaeus and a forum in which to discuss and study the exciting new discoveries taking place all over the globe. 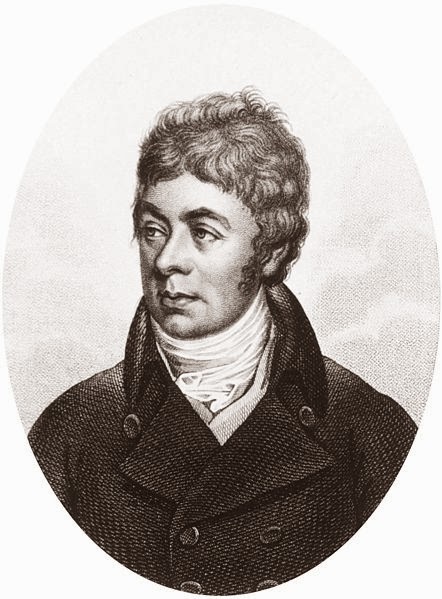 The following year he was made a fellow of the Royal Society and in 1791 took up the role of assistant curator of the natural history department at the British Museum, serving under Edward Whitaker Gray until succeeding him as curator in 1807. Shaw took a particular interest in the specimens being discovered in Australia and was one of the first men to publish works on animals including the aforementioned platypus, wombat and kangaroo. The platypus proved particularly intriguing to him and as already mentioned, he could not quite bring himself to believe that this unique creature could be anything other than a fake; however, once he had examined it with his own eyes he was forced to admit that it was indeed a real animal. The platypus used in Shaw's studies still exists at the British Museum. He became particularly well known for books including The Naturalists' Miscellany, which was illustrated by Frederick Polydore Nodder and enjoyed a long and distinguished career. The society he co-founded goes from strength to strength today and his books provide a fascinating glimpse into natural history in the Georgian and Regency world. A fascinating period,Madame,with Capt Cook,Joseph Banks etc sailing the oceans in search of fauna and flora. Is there truth in the legend that Mrs Delaney gathered all her knowledge and artistry on her wonderful presentation of plant species from yourself when you visited Bulstrode? Wonderful information. Loved the platypus story because I do love our Australian animals. Sir, you know I could not possibly comment; suffice to say that Mrs Delany and I have taken tea on more than one occasion! Thank you! The platypus is such a wonderful creature, one of my favourites! Mr. Shaw was my kind of man of Reason. Doubting the reality of the Platypus just means the man was intelligent and a man of reason. The Platypus was designed by one with a sense of humor. It is hard to believe such a creature exists. Imagine the feelings of the first westerners to see such an animal. It is stranger than the Mythical beasts so beloved of the dreamers of the middle ages. Thanks for introducing George Shaw. I wonder if George Bernard was related. I can't imagine what it must have been like to discover such a creature, one can hardly blame him for being dubious!